When it comes to self-published books…does size matter? Some authors believe the word count is irrelevant—whether it takes 20,000 words or 200,000 words, the book will be done when you’ve finished telling your story. But if marketability matters to you, it’s not that simple. For traditional publishing or self-publishing, you’ll have the best odds of success if your book hits the word-count sweet spot for its genre. What are the target word counts for different genres? Literary Fiction: Literary fiction focuses on themes and issues rather than action. These novels can be anywhere from 40K-120K words. First-time or unknown authors who haven’t yet built a substantial following should stay within a 70K-100K window. Mainstream Fiction: Mainstream fiction novels, also termed “general fiction” and “commercial fiction,” are best received when they fall within a 70K-100K word range. Young Adult: These books encompass many subgenres and have protagonists between 12-18 years of age—and target readers of the same age. Depending on the specific genre and demographic, YA books can vary in length—but they should stay between 40K-75K words. Romance: Romance is currently the bestselling self-published genre. A romance novel is generally between 80K-100K words, but category romance novels (Harlequin, erotica) may have stricter guidelines. Sci-fi/fantasy: Another top-selling self-published genre, science fiction and fantasy books do best with a word count between 80K-150K words. (Since supernatural books often create entire worlds, they sometimes require more words than realistic novels.) First-time and unknown authors should keep their books shorter. Mystery: Mystery novels often depend heavily on quick pacing, so these books tend to be on the shorter side. Make sure yours is no more than 100K words; 75K is better, especially for “cozy” mysteries. Historical: Historical novels may cover specific issues or events; or focus on the everyday life of the time period. The best historical novels require extensive research so that details are accurately portrayed. Unknown authors may have trouble engaging readers with a historical fiction book over 100K words (though established authors’ books vary widely in length). Thriller/horror: These books require strong plot and characters to maintain suspense. Though the genre varies depending on the complexity of a book’s plot, thriller and horror novels should generally hit the 80K-120K mark. Focus on the right numbers: Don’t attach too much importance to the number of pages: It’s the word count that matters. Imagine yourself looking at two 300-page books. While both books have the same number of pages—the font size, spacing, and trim size of each book can disguise the fact that they have two very different word counts. 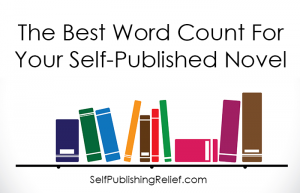 Word count gives the most accurate depiction of your book’s length to publishers and readers. Choose the best font and formatting: Readability is the key consideration in choosing font and spacing for the print version of your book. Keep your pages clean and simple: Choose a legible font like Times New Roman as well as formatting and paper color that are easy on the eyes. Know the right trim size: This is the size of your physical book, which can vary based on: whether you’ve chosen hardcover or paperback format; whether your book is tracked for mass marketing; and (of course) the word count. For example: A higher word count will make a book with a small trim size too bulky and uncomfortable to hold; a low word count and a bigger trim size will make your book look unsubstantial and more like a pamphlet. Many publishers have trim size requirements based on word count, or you can browse bestseller lists for guidance. 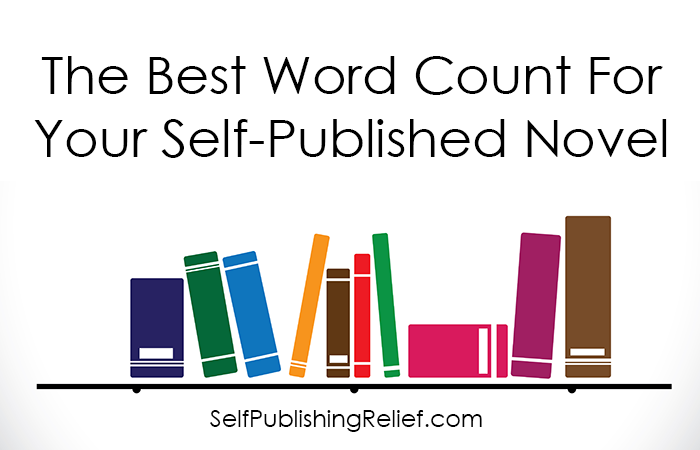 The best word counts for each genre are the same for both traditional publishing and self-publishing. However, that isn’t to say that a shorter or longer book can’t be a bestseller too! Keep the word count in mind, but more importantly—tell your story in the best way possible. QUESTION: Are you surprised by the target word counts of any of the genres? I was looking for word count and some tips on self-publishing. Thank you so much for this information. I needed that information. it seems I am off when it comes to words. I made the mistake of counting the pages because when I e published my first book, I was not asked for words – rather pages for print.